Prevention is the most important social policy agenda of our time. Many governments make a sincere commitment to it, backed up by new policy strategies and resources. Yet, they also make limited progress before giving up or changing tack. Then, a new government arrives, producing the same cycle of enthusiasm and despair. This fundamental agenda never seems to get off the ground. We aim to explain this ‘prevention puzzle’, or the continuous gap between policymaker expectations and actual outcomes. What is prevention policy and policymaking? Reform policy. To move from reactive to preventive public services, intervening earlier in people’s lives to ward off social problems and their costs when they seem avoidable. Reform policymaking. To (a) ‘join up’ government departments and services to solve ‘wicked problems’ that transcend one area, (b) give more responsibility for service design to local public bodies, stakeholders, ‘communities’ and service users, and (c) produce long term aims for outcomes, and reduce short term performance targets. Ensure that policy is ‘evidence based’. We use well established policy theories/ studies to explain the prevention puzzle. They don’t know what prevention means. They express a commitment to something before defining it. When they start to make sense of it, they find out how difficult it is to pursue, and how many controversial choices it involves. They engage in a policy process that is too complex to control. 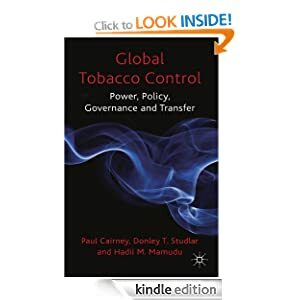 They try to share responsibility with many actors and coordinate action to direct policy outcomes, without the ability to design those relationships and control policy outcomes. Yet, they need to demonstrate to the electorate that they are in control. When they make sense of policymaking, they find out how difficult it is to localise and centralise. They are unable and unwilling to produce ‘evidence based policymaking’. Policymakers seek ‘rational’ and ‘irrational’ shortcuts to gather enough information to make ‘good enough’ decisions. When they seek evidence on preventing problems before they arise, they find that it is patchy, inconclusive, often counter to their beliefs, and unable to provide a ‘magic bullet’ to help make and justify choices. Who knows what happens when they address these problems at the same time? 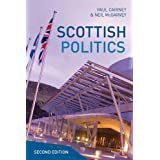 We draw on empirical and comparative UK and devolved government analysis to show in detail how policymaking differs according to the (a) type of government, (b) issue, and (c) era in which they operate. 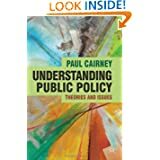 Although it is reasonable to expect policymaking to be very different in, for example, the UK versus Scottish, or Labour versus Conservative governments, and in eras of boom versus austerity, a key part of our research is to show that the same basic ‘prevention puzzle’ exists at all times. You can’t simply solve it with a change of venue or government. Our UK book will be out in 2018, with new draft chapters appearing here soon. Our longer term agenda – via IMAJINE – is to examine how policymakers try to reduce territorial inequalities across Europe partly by pursuing prevention and reforming public services.